It seems like Samsung is really into curving and bending displays  these days. While the implementation of a curved screen on a phone has yet to prove its worth, benefits from a TV screen like this could be pretty nice to have. What do you guys think? Curved OLED or TV on an easel-like frame? 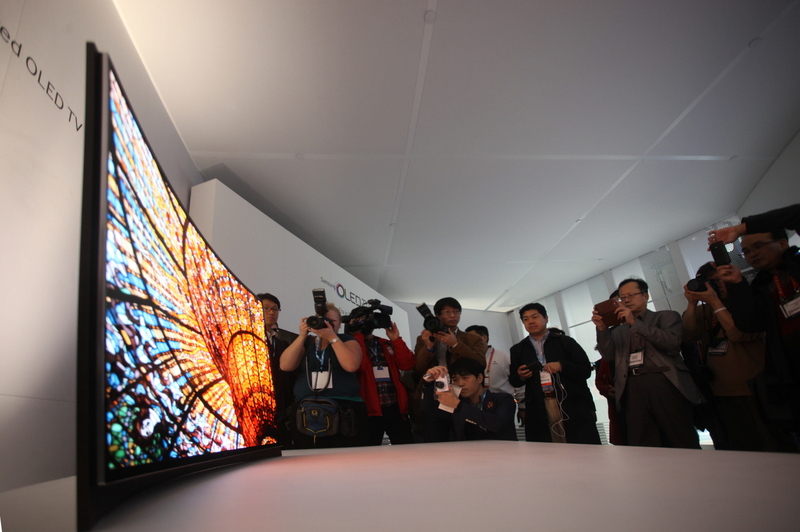 My vote goes to the curved OLED. Hey Samsung, why not do a curved OLED on an easel?! Maybe next CES.